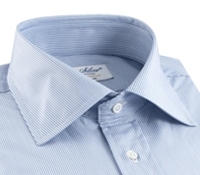 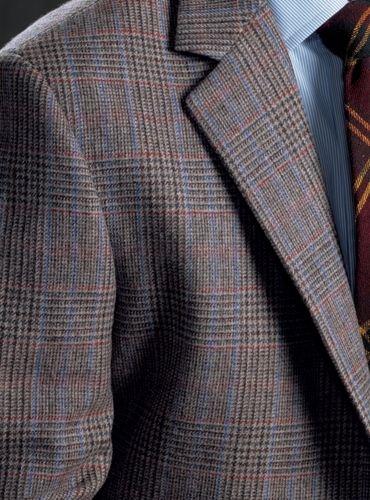 Our classic woven Saxony glen plaid jacket will be just as elegant over a cashmere polo shirt as over our elegant pinstripe blue and white spread collar shirt. 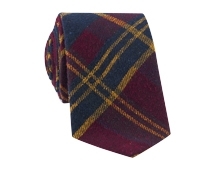 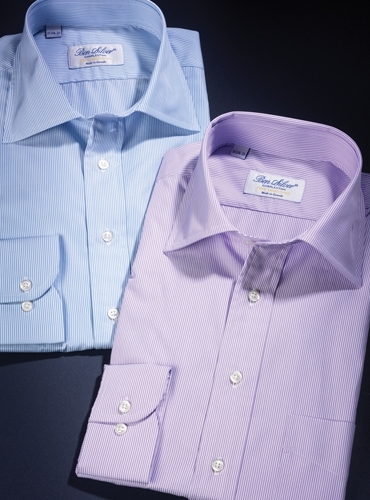 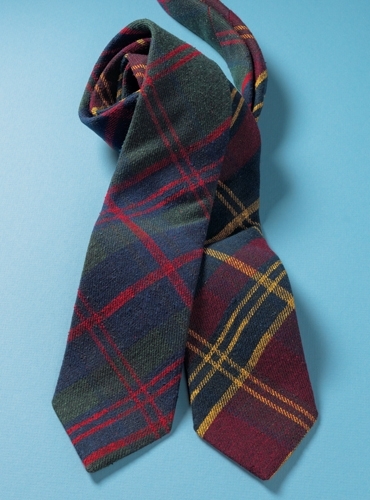 The marine and fire windowpane provides an easy accent to pair with one of our plaid neckties. 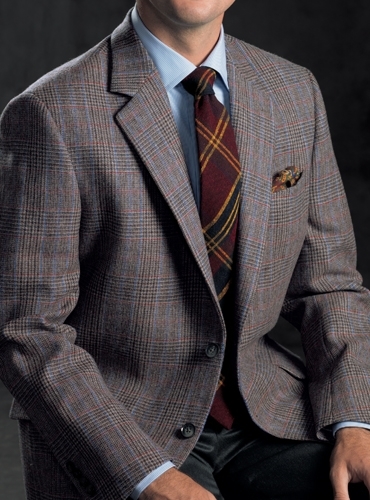 The jacket, woven in pure wool by Lovat of Scotland, is cut in a two-button, flattering and comfortable natural shoulder model, with double pipe and flap lower pockets, bluff edged slim lapels and center vent, and available in a full range of sizes. 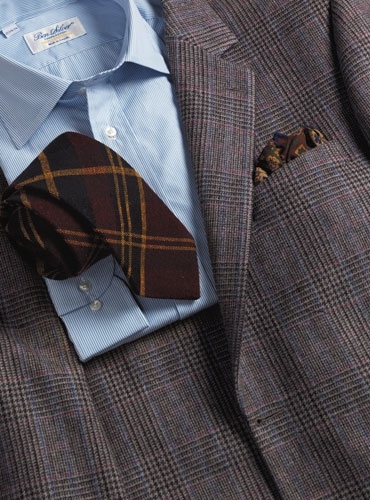 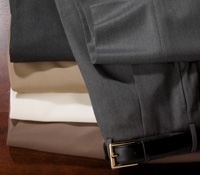 Shown with our whimsical hare motif pocket square as the finishing touch and gabardine trousers.